Mined in the Nsanje District of Malawi, Africa. 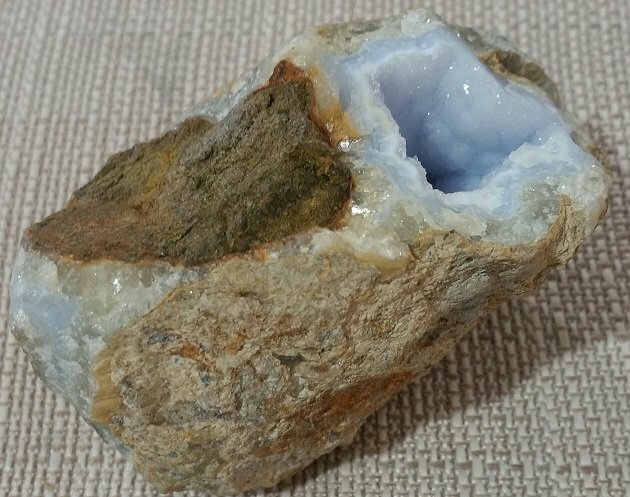 Baby Blue in color with tiny white crystals on top make these pieces so beautiful. 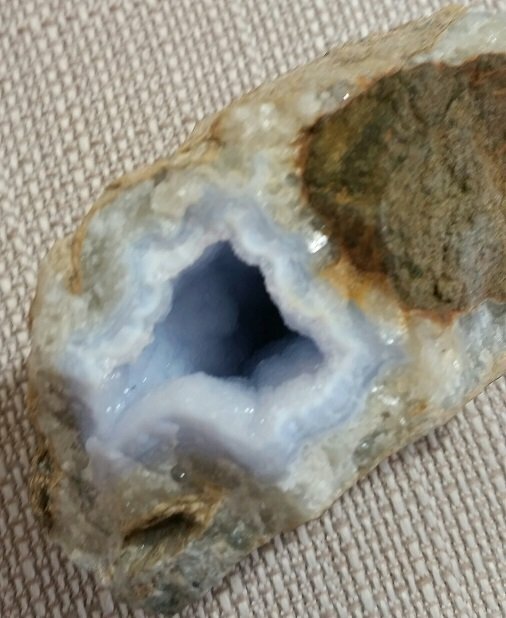 A Blue Geode! 3.5 by 2by 2 inches for size.